Fagor’s Enamel on Steel 15 in. Paella Pan is perfect for creating the iconic Spanish paella dish. The pans extra wide cooking surface (2 mm), allows for complete versatility on the stove, in the oven or on the outdoor grill. 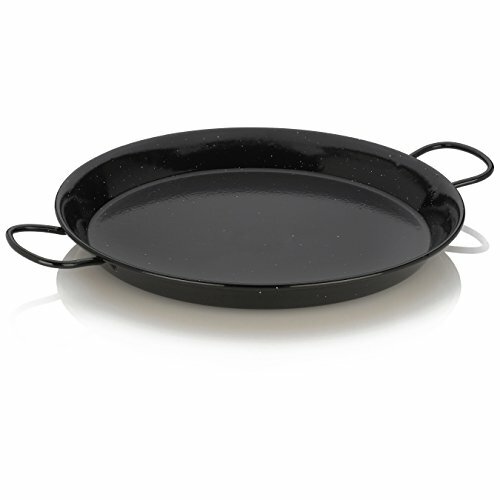 This pan can be used as a griddle and is perfect for cooking pancakes, eggs, bacon and even steak. The Carbon steel body allows for a quick and even heat distribution and is complete dishwasher safe. The 15 in. Paella Pan is pre seasoned, resistant to rusting and easy to clean. It is also compatible to be used on all cooking surfaces including induction and is made in Spain.